You look at the calendar, rub your eyes, and then look again. However, the calendar does not lie: today is your biannual dental checkup. It is easy for time to sneak up on you, and with work, errands and picking up the kids from school, it can be tempting to just skip the trip to the dentist altogether. 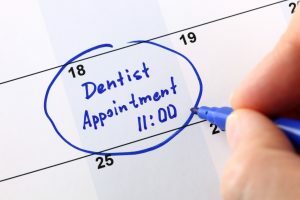 You certainly would not be the first to do so: according to the Commonwealth Fund, more than 1 in 3 U.S. adults skipped a routine dental visit in 2016. However, with each passing day cavities can grow and dental problems can worsen without professional intervention. So, before you decide to ditch the routine dental checkup, consider these facts from a dentist in Las Cruces. Why do People Skip Routine Dental Visits? Avoiding the dentist for any of these reasons, however, can backfire in the long-term. If oral health problems develop or worsen, you could find yourself heading to the dentist or emergency room for an inconvenient and costly oral surgery that could have been prevented. Increased Risk of Tooth Decay – Even if you practice good oral hygiene at home by brushing and flossing twice every day, plaque and tartar can accumulate in the tiny spaces between teeth that your toothbrush cannot reach. Plaque and tartar weaken tooth enamel, leading to an increased risk for tooth decay. During a routine dental cleaning, your dentist or hygienist will expertly remove plaque and tartar buildup using special tools, leaving your teeth clean and reducing the risk that tooth decay will occur. Increased Risk of Gum Disease – Plaque and tartar buildup are also detrimental to the health of the gums. The warning signs of gum disease can be very subtle and not easily noticeable at home in the mirror. However, gum disease has been linked to oral health issues like diminished jawbone density and even tooth loss. Miss Early Detection of Oral Cancer – During every routine visit, a dentist will look for any signs of oral trouble – such as cavities, gum disease, damaged fillings and early signs of oral cancer. Detecting oral cancer early when it is easiest to remove and most likely to be cured is crucial to overcoming the disease. The next time you consider skipping a trip to the dentist, just remember you would be putting your oral health in jeopardy. Visiting the dentist twice a year is the best way to maintain a whole and healthy smile. From regular dental checkups to emergency dental care, Drs. Ramon and Natalie Ortiz and the team at Painted Skies Dental Center meet all the oral health care needs for families and individuals in Las Cruces, Sonoma Ranch and other surrounding communities. To learn more about the importance of preventive dentistry, visit the Painted Skies Dental Center website or reach them by phone at 575-521-8720.